Dr. Gregory S. Smith is performing procedures in his very own ambulatory surgical center accredited by American Association for Accredation of Ambulatory Surgery Facilities (AAAASF). 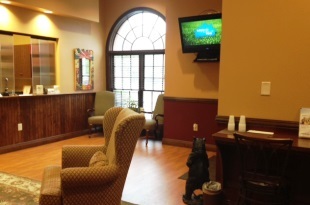 Athens Endoscopy, LLC (AE) provides a relaxing atmosphere with professional and friendly staff. At last you can not only have a procedure to meet your health care needs, but also enjoy the tranquility and comfort of this spa-like atmosphere. Athens Endoscopy, LLC is also offering CareCredit for qualifying persons. 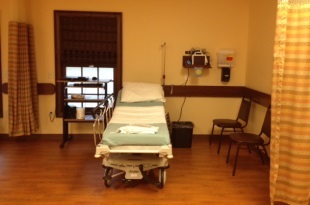 Find out how cost effective it is at Athens Endoscopy, LLC! Most procedures require a recovery time. Although Athens Endoscopy, LLC will have you in and out faster than most ambulatory surgical centers, efficiency is based on recovery time which may vary per patient. Enjoy your recovery time in this spa-like atmosphere with relaxing music and attentive staff! Do you need a procedure, but don’t have the funds right now? 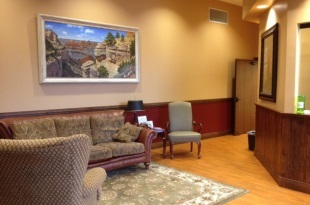 Athens Endoscopy, LLC is offering CareCredit medical credit card for qualifying persons. If you are concerned you may not have enough credit to qualify, keep in mind CareCredit is more lenient than most lenders. So go ahead and apply so you can have your procedure now and pay later with 6 months no interest for qualifying persons! If you don’t qualify or prefer not to apply for credit, Athens Endoscopy, LLC is also offering a pre-payment plan for patients so you can have your procedure paid-off before your procedure date. Talk to our Billing Consultant about setting up a pre-payment plan that best suits you and we can even reschedule your procedure to accommodate your personalized pre-payment plan. Think of it as a healthy investment! Then all you have to worry about after your procedure is what position you would like to relax in. For CareCredit or Pre-Payment Plans, please call our Billing Consultant at 706-548-0058 ext. 207. We know not all patients have the luxury of health insurance. We also understand it can be a struggle to pay for health services out-of-pocket. For this reason we have put a Cash Patient Fee Schedule together with discounted prices for full pre-payments. Click here to see the Cash Patient Fee Schedule (coming soon). To set up your Cash Patient Pre-Payment Plan, please call our Billing Consultant at 706-548-0058 ext. 207. What does it mean to be certified by Joint Comission? Improves the quality of patient care by reducing variation in clinical processes – The Joint Commission’s standards and emphasis on clinical practice guidelines help organizations establish a consistent approach to care, reducing the risk of error. Provides a framework for program structure and management – Certification standards help organize the disease management program. This helps to maintain a consistently high-level of quality, using effective data-driven performance improvement. Provides an objective assessment of clinical excellence – Joint Commission reviewers have significant experience evaluating disease man-agement programs. They are trained to provide expert advice and education on good practices during the on-site review. Creates a loyal, cohesive clinical team – Certifi-cation provides an opportunity for staff to de-velop their skills and knowledge. Achieving certification provides the clinical team with a concrete validation of their combined efforts. Promotes a culture of excellence across the or-ganization – Meeting Joint Commission stan-dards is an accomplishment recognized with the awarding of The Joint Commission’s Gold Seal of Approval™. Certified organizations proudly display the Gold Seal to advertise their commit-ment to health care quality. Strengthens community confidence in the quality and safety of care, treatment and ser-vices – Achieving certification makes a strong statement to the community about an organization’s efforts to provide the highest qual-ity services. Recognized by select insurers and other third parties – In some markets, certification is be-coming a prerequisite to eligibility for insurance reimbursement, or participation for managed care plans and contract bidding. Athens Endoscopy, LLC is recognized by ASGE as a quality endoscopy unit. The American Society for Gastrointestinal Endoscopy (ASGE), a leading gastrointestinal medical society, recognizes endoscopy units that have been dedicated to patient safety and quality in endoscopy as evidence by meeting the program’s rigorous criteria. This includes following ASGE guidelines on privileging, quality assurance, endoscope reprocessing, CDC infection control guidelines and ensuring endoscopy staff competency. Athens Endoscopy, LLC received its recognition certification from ASGE in July 15, 2017 and is a unit of good standing in this program specifically dedicated to promoting quality in endoscopy in all settings where it is practiced in the United States. 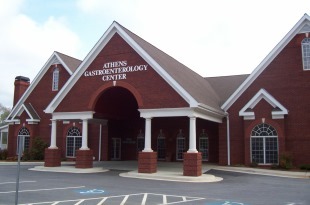 Athens Endoscopy, LLC is one of more than 400 endoscopy units to be granted the recognition since 2009. For a unit to be recognized through a peer-reviewed application process, it must attest to ASGE guidelines for high-quality care and safety to ensure the best outcome for patients. The unit must assert continued competence of all staff relative to their roles, demonstrate the adoption of unit policies specific to ongoing assessment of performance relative to key quality indicators, and attest that the unit has an established infrastructure and personnel dedicated to infection control and prevention. The program is applicable to all settings where endoscopy is practiced, including office- and hospital-based endoscopy units, stand-alone ambulatory endoscopy or surgery centers in United States, Puerto Rico and the Virgin Islands. About the American Society for Gastrointestinal Endoscopy since it’s founding in 1941, the American Society for Gastrointestinal Endoscopy (ASGE) has been dedicated to advancing patient care and digestive health by promoting excellence and innovation in gastrointestinal endoscopy. ASGE, with more than 14,000 members worldwide, promotes the highest standards for endoscopic training and practice, fosters endoscopic research, recognizes distinguished contributions to endoscopy, and is the foremost resource for endoscopic education. Visit www.asge.org and www.screen4coloncancer.org for more information. Endoscopy is performed by specially-trained physicians called endoscopists using the most current technology to diagnose and treat diseases of the gastrointestinal tract. Using flexible, thin tubes called endoscopes, endoscopists are able to access the human digestive tract without incisions via natural orifices. Endoscopes are designed with high-intensity lighting and fitted with precision devices that allow viewing and treatment of the gastrointestinal system.